Cheers Mate aims to raise awareness and funds to support mental health in the industry. Photos: Supplied. Recently, we brought you news that a brand new variety of glittery colour-changing, unicorn-themed vodka had been launched in Canberra, and it was a huge hit. Now, the local entrepreneur behind that sparkling drink is on a new mission, to start a conversation about mental health in the hospitality industry. And it’s a conversation that starts with ‘the world’s most ethical vodka brand’, made right here in Canberra. “There’s that cliche of the trusty bartender, who looks after their customers and listens patiently to all their problems,” says Cheers Mate™ founder Ben Osborne. “I wanted to ask, who is listening to the bartender’s problems? “I’ve worked in the hospitality industry for many years now, and I love it with all my heart. But it’s often the first career destination for young kids straight out of school, who are immediately confronted with some of the worse sides of human behaviour – violence, drunkenness, blood and gore, people in emotional distress. “These are the sorts of situations that medical professionals and police face on a daily basis too, but hospitality workers don’t get anywhere near the levels of training and support that other professionals might be able to access. “In addition, all the things we’re told to do to maintain good mental health – get some fresh air and sunshine, exercise, good nutrition, quality sleep, a solid routine – are things that are often difficult for hospitality workers to do. “Working 12+ hour shifts around the clock for days on end, often balancing work with study commitments, missing out on parties and events because you’re always working weekends, being away from family during the holiday season, unable to get time off to go home and be with your loved ones. “You can quickly find yourself in an unhealthy routine. This lifestyle can impact upon bartenders, waiters, chefs, apprentices, security personnel, and it can really be a recipe for disaster,” said Ben. To confront this, Ben has created a special edition artisan vodka under his Cheers Mate™ brand. Like the unicorn vodka, it’s infused with organic Butterfly Pea Flower, which gives the drink a vibrant blue colour that changes to purple or pink when citrus is added. Marketed as the world’s most ethical vodka, it’s made with grain purchased from local farmers, uses locally-made glass bottles and employs local people in production and distribution. Just as importantly, Ben hopes the striking brand will start a conversation about mental health in the industry, while also contributing funds directly to support services. “This mission is so important to me because I’ve witnessed first-hand the effects this industry can have on people and have sadly lost too many friends as a result of mental health issues,” he said. “Tragically, suicide is a leading cause of death for young people, and with one in five young Australians experiencing serious mental illness, and it’s believed over 50 per cent of those affected will not access any treatment at all,” said Ben. “I think high-quality alcohol can and should be enjoyed responsibly, and I wanted to create a product that was not just enjoyable but also made a positive difference to peoples’ lives. Ben Osborne wants his product to get people talking about mental health. “We clearly explain the costs of the product and donate $10 profit per bottle to support mental health in the hospitality industry. “We’re directing the funds raised by bottle sales to promoting and donating to helplines for immediate assistance, support groups for various drug and alcohol-related issues, providing targeted advice and coping mechanism guides for the big issues in our industry, employing counsellors to speak with staff members, working with venue owners and managers to build systems to preempt these issues, and so much more. Ultimately, Ben says, “I want to help make a happier and healthier hospitality industry, where people can be more proactive about identifying and addressing mental health challenges. 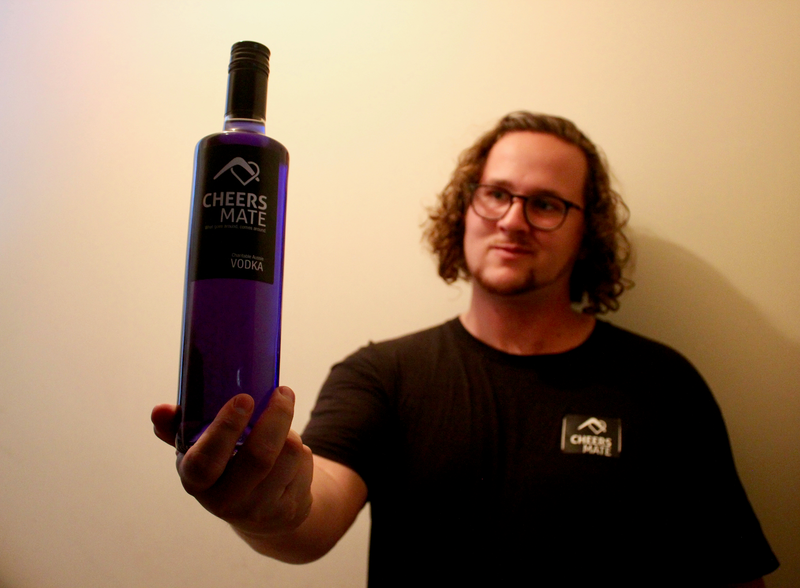 If you’d like to support Ben and Canberra’s hospitality workers, you can pre-order a bottle of Cheers Mate™ to help the team reach their $7,000 start-up target for the first commercial run of the product. You can also come along to the official launch party, which will be held on Thursday 30 May 2019 at King O’Malleys’ in Civic. Join the Facebook event here. Original Article published by Jane Speechley on The RiotACT. Great idea as someone who has had a mental breakdown, PTSD, depression and anxiety attributed to this industry. Seeing firsthand the impact both physicaly and mentally working in this industry has on people. Were suicide, drug dependency, drug overdose, crime, sexual misconduct, relationship dreakdowns and much more it attributed to this industry. Much more needs to be done for everyone who works in Hospitality, more training, resources, help services are a priority for all businesses. Your mental wellbeing plays a huge role in how you do your job and how you are as a person.